Click for larger image As we understand the history of the Green Valley Fairways area former resident, Helene Rogers, began selling Fairways homes in December of 1963. 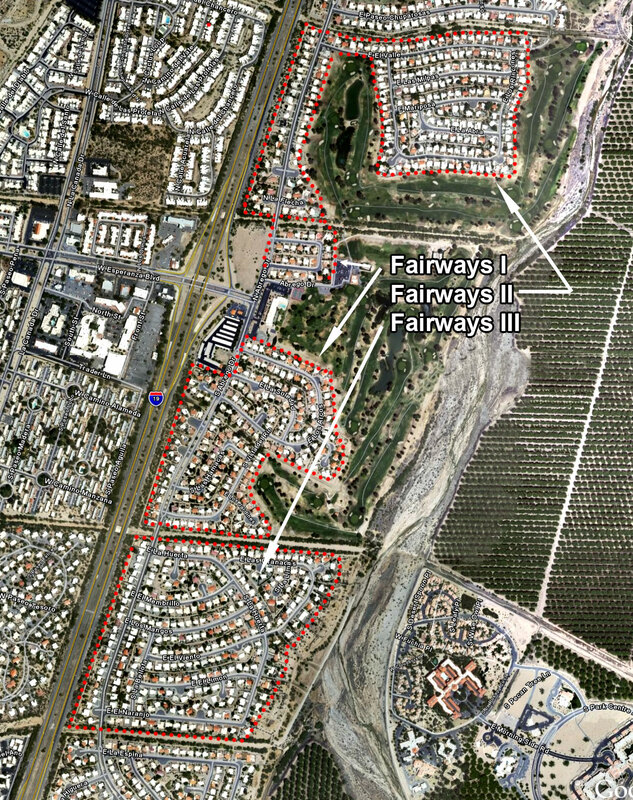 The Fairways had been part of the Canoa land grant and Pima cotton was grown here. At the south end of the pecan groves was a vineyard. It took four months to build a house back then and it was an orderly progression street by street. The houses sold for $10,950 to $17,000. The land was owned by Maxon. 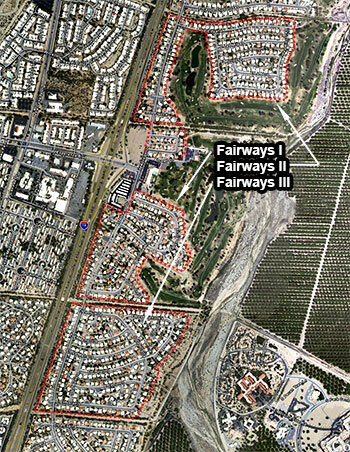 Fairways I and III were built by Valley Construction Company, a subsidiary of Maxon. The first year at least four houses a week were sold. Tom Kuhlman was a neighbor in Fairways II and he was a very important but silent partner of the Maxon Brothers and invested heavily in the construction project. He lived at 474 N. Abrego and traveled the world with his wife. He and the Maxon Brothers discovered this area in 1964 while touring the Southwest in search of a cattle ranch but decided that this area looked promising as a retirement area. Haven Golf Course had their first nine holes completed by 1964. The second nine holes were completed in late 1965. The East Center was built in 1965 by the Maxon company. The FHA took it over in 1967 after the Maxon bankruptcy and formed the Community Recreation Association of Green Valley. This was the forerunner of GVR. In 1973, the Haven Management Company of Chicago purchased from the FHA the Villas, the Haven Mall, the Haven Golf Course and the East Social Center. Initially, Haven ran the East Center as a private club for members only. In 1975 the original Community Recreation Association negotiated a 20 year lease with Haven at a dollar a year. GVR became the successor in 1997 and secured an option to purchase the East Social Center plus five acres of land for $500,000.